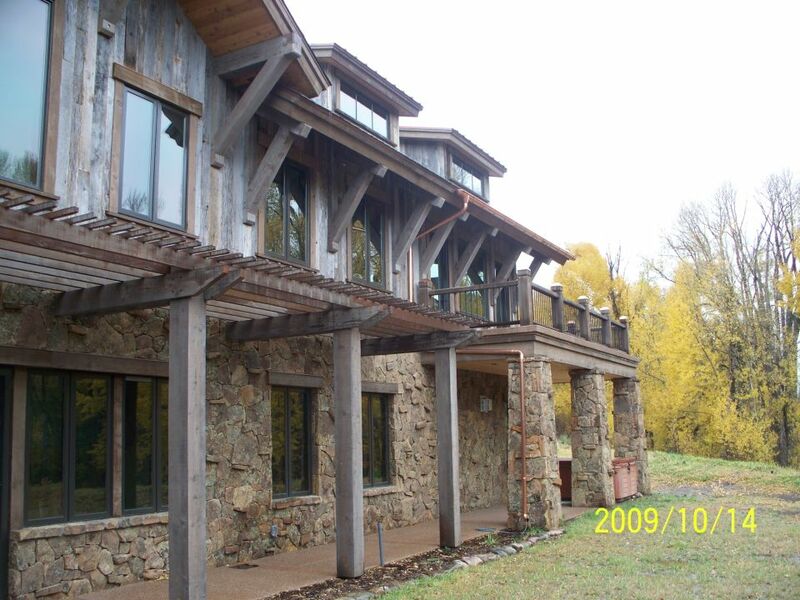 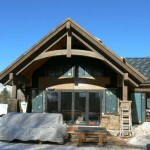 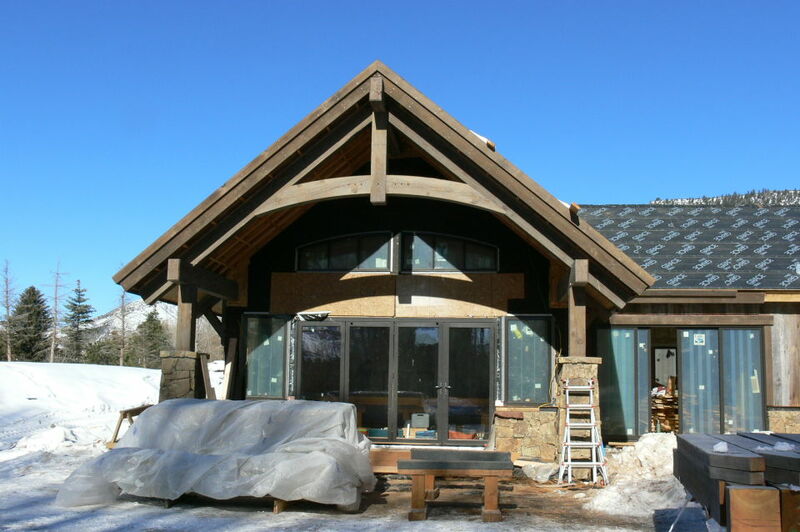 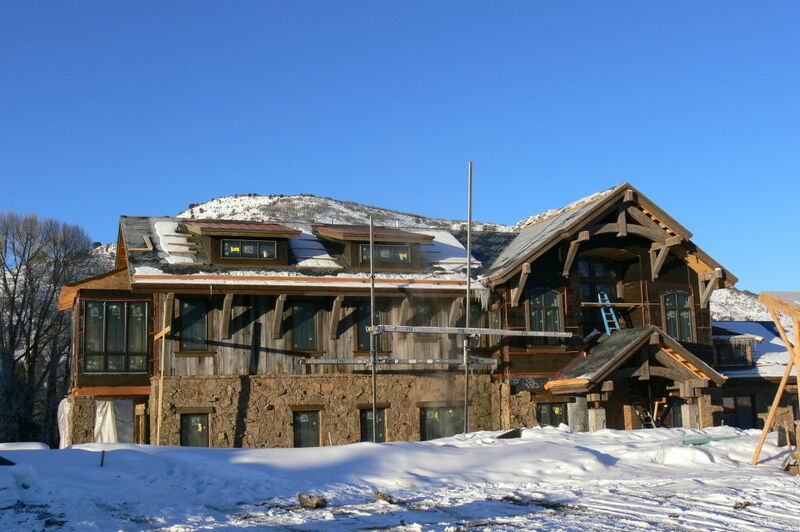 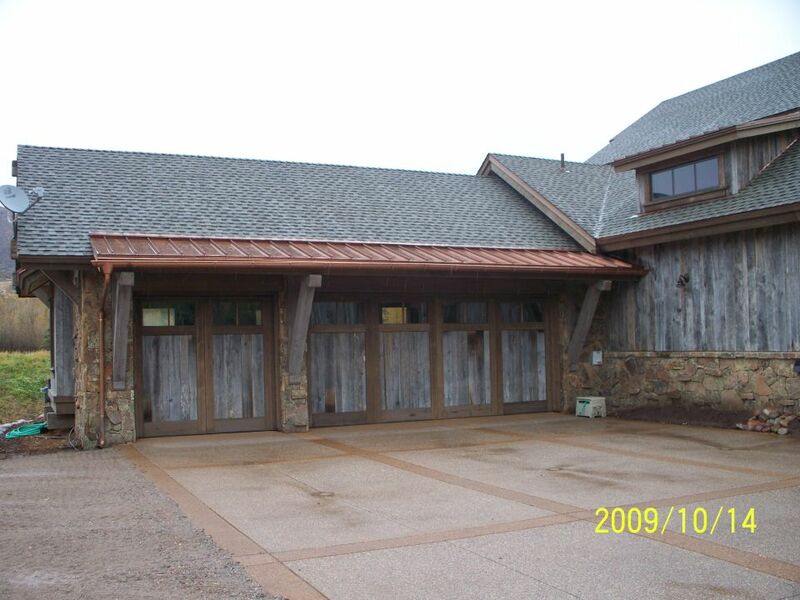 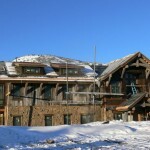 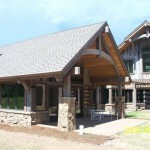 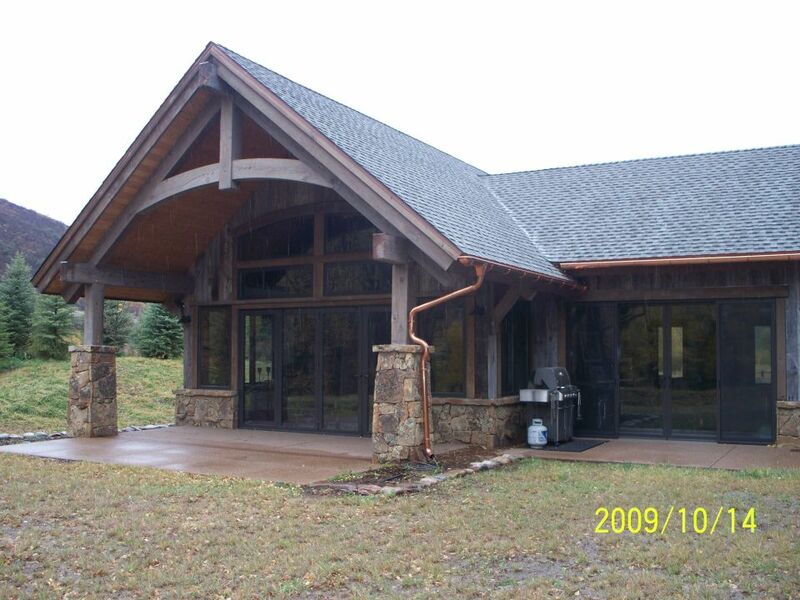 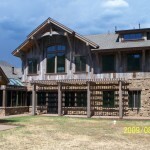 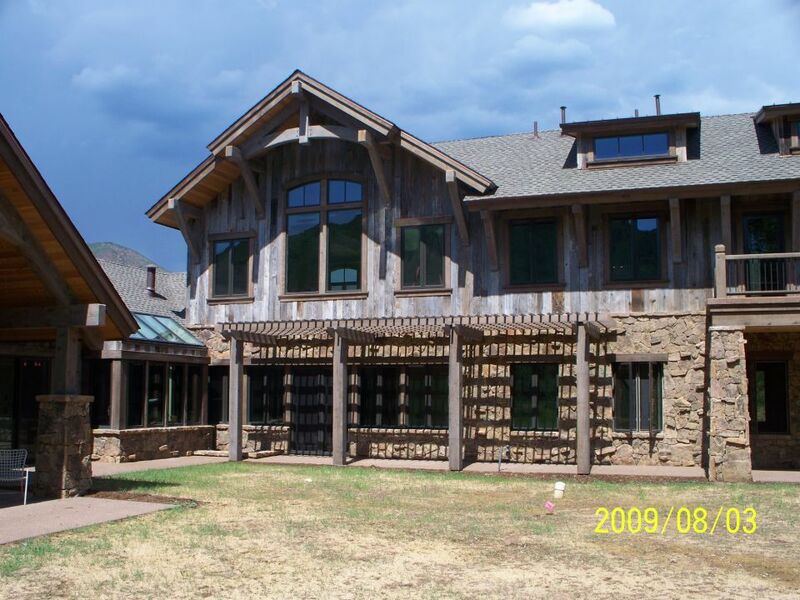 Custom home near Woody Creek, Colorado designed by Charles Cunniffe Architects. 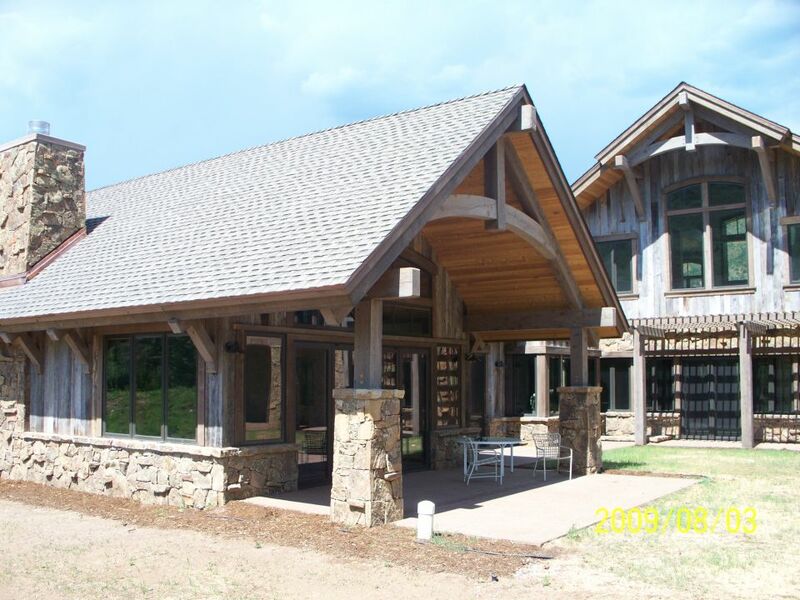 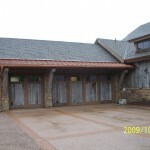 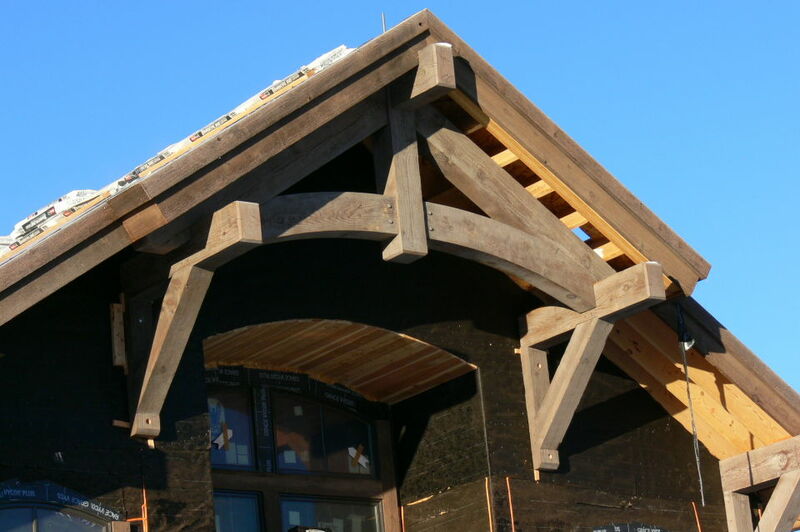 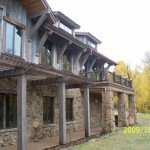 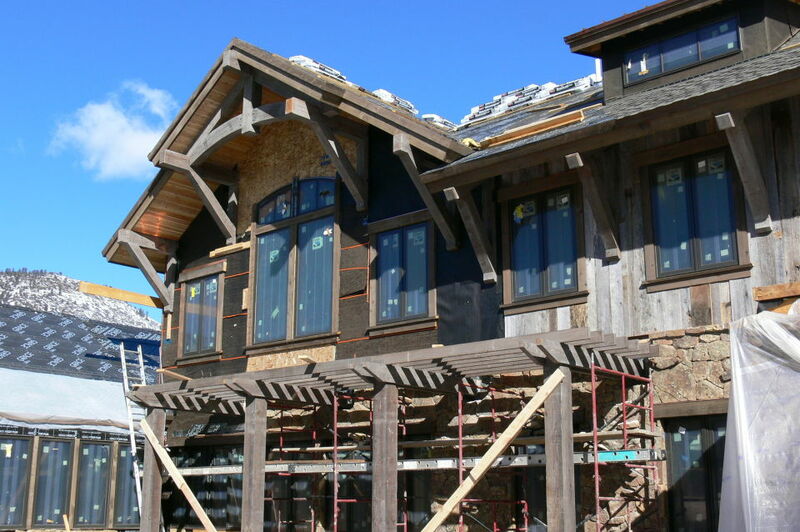 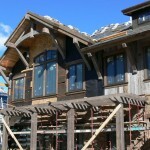 All exterior timber elements, including 5 timber trusses, 40 timber brackets, and a timber trellis, have been specially treated by Vintage Woods of Gypsum, Colorado to appear well-aged, in keeping with the project’s reclaimed barn siding. 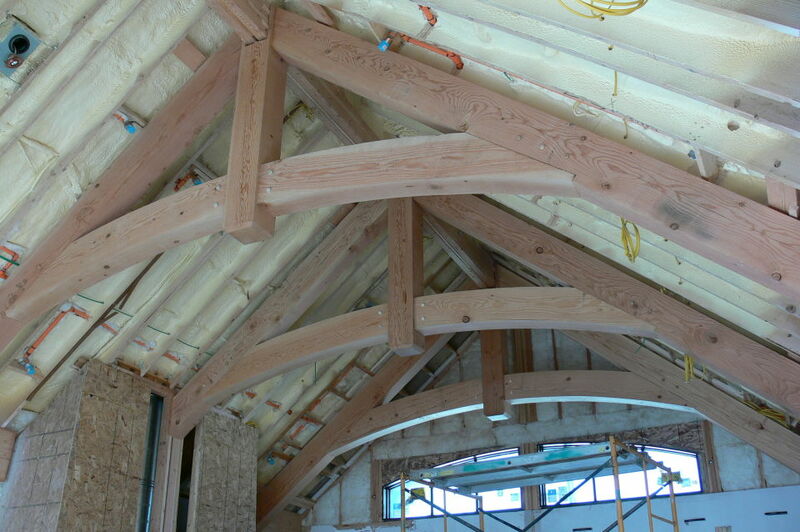 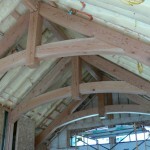 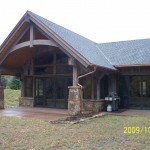 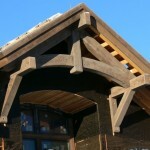 The interior timber elements included 13 timber trusses.